I am thrilled to share that our blog has received lots of wonderful comments. Now that our blog has garnered accolades, our blog will now be hosted on the FILMLOOK website at www.filmlook.com. So, to continue the inner muse journey with me, check out and subscribe to blog.filmlook.com. Thank you for all of the support and comments you have given me in my time on WordPress. I look forward to seeing you on the new site. 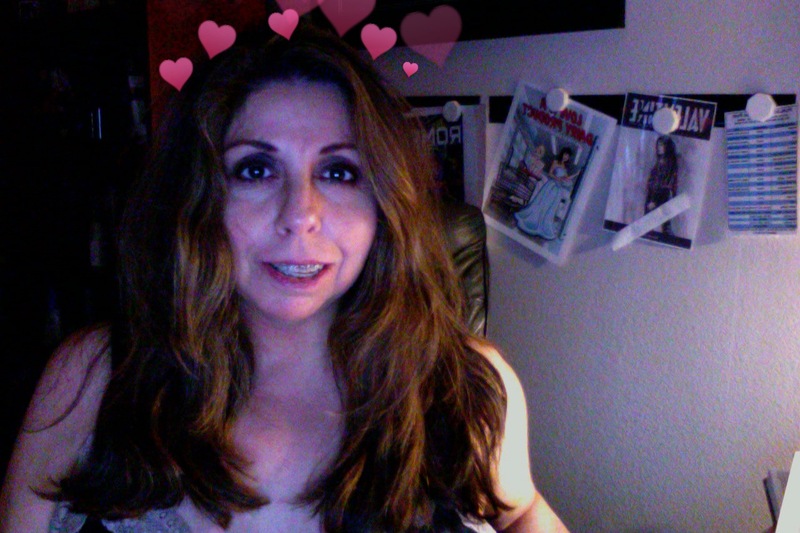 A little lovestruck on Van Halen Band. I’ve put together a slide show from my personal photos (taken with my iphone) of this eventful night. The stage was set in a way that each captured image is breathtaking even with someone like myself who is not so experienced in taking photos. My younger brother, James E. Poore accompanied me to the concert since he is a longtime VH fan. He has seen VH in concert at least twelve times with both David Lee Roth and Sammy Haggar as their lead singers. Once David Lee Roth was replaced with Haggar, I lost my fervent interest in listening to VH music. Haggar’s voice and personality wasn’t the charismatic, outlandish personality of David Lee Roth that I still love to this day. After listening to the album so many times I decided to review each song not as a musician but as a poet/writer. What does this mean? I reviewed each song based on how the words felt within me and how the singer sang along with the instruments. The overall songs were all sung with a lot of soul from David Lee Roth and Eddie Van Halen, and yes, Wolfie too. The VH band members are all sensational, synergistic performers that love to energize their audience to be more than just observers and listeners. Engaging their audience with their eclectic vibes, a VH classic. Be sure to buy the album “A Different Kind of Truth.” You can buy the deluxe version of the album on iTunes. The deluxe version includes the album, four bonus videos and a digital booklet from the album. Can’t get enough VH, like me ♥ ? Visit their official website. You can also get more VH news by doing a LIKE on the Van Halen Facebook and a LIKE on David Lee Roth’s Facebook. Be sure to follow VH’s Twitter and David Lee Roth’s Twitter, too. Starting this Saturday, February 18th, VH will be on tour across America. Check out this list of tour dates and purchase your tickets today. “Alex and Wolfgang Van Halen declined to take solos last night, Eddie Van Halen offered up a typically virtuosic mini-concerto that reminded you of all the astonishing things he can still do on the guitar.” – Rolling Stone Magazine. I agree with this Rolling Stone excerpt about the VH rehearsal night: “Jump,” which closed the show on a note of mock-heroic grandiosity that is, was and evidently always will be Van Halen’s signature stance. Get your tickets now, folks.” Yes, make sure you get your concert tickets to show VH how much we love their music and performances. Are you ready? Valentine’s Day is only one week away. 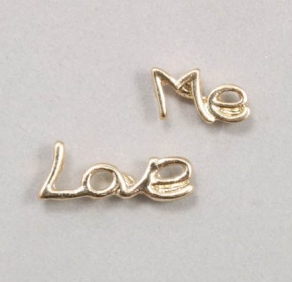 If you’re missing a few accessories for your love-day outfit, or if you need a last-minute gift for that special someone. 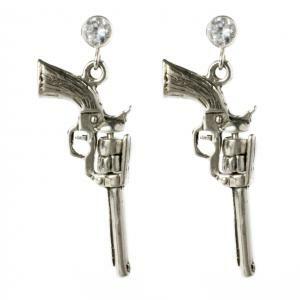 Or you can splurge on yourself, really it’s okay, then check out ShopDesignSpark.com and ShopHenriLouJewelry.com. 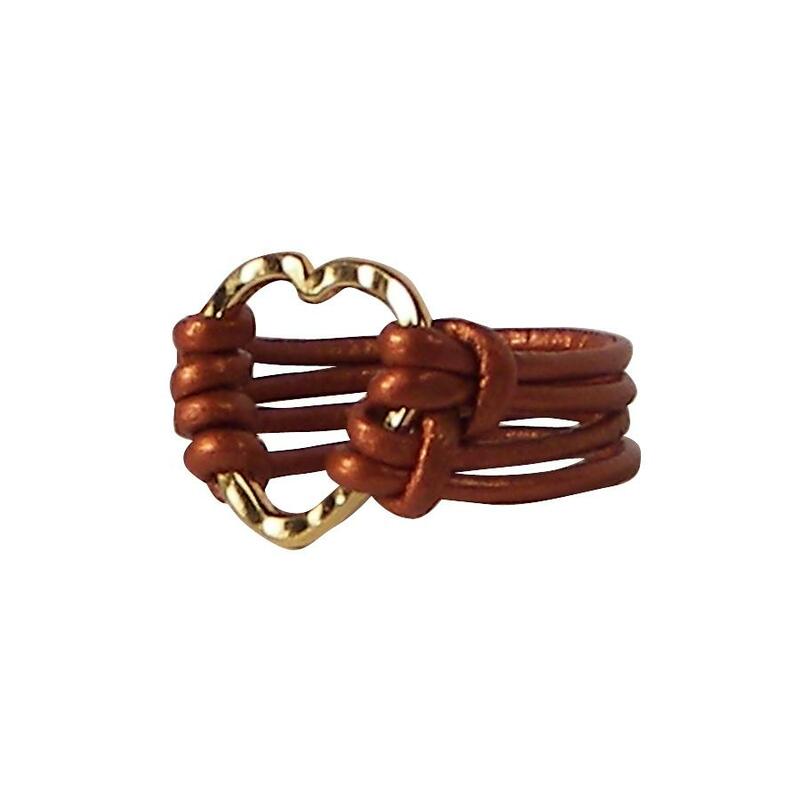 If you want an edgy look, Henri Lou offers womanly pieces made of leather, saddle rings, gold filled chain and real plated leaves. The idea of powerful yet feminine pieces is the backbone to the creative process at Henri Lou, where all pieces are handmade. Which style do you prefer? Check out some pieces from both sites below. Then be sure to LIKE the Shop Design Spark Facebook, LIKE the Henri Lou Facebook, and following the Twitters for Shop Design Spark and Henri Lou. 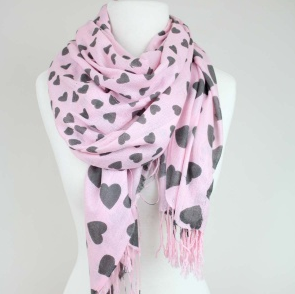 Looking for gift ideas for Valentine’s Day? Take a look at Devora Libin. A self-taught designer, Devora Libin has a gift for blending her craftsmanship skills and fashion sense into something every woman would love to own. Devora turned her passion for creativity into a unique hand-made jewelry collection of eclectic pieces designed to inspire personal style. 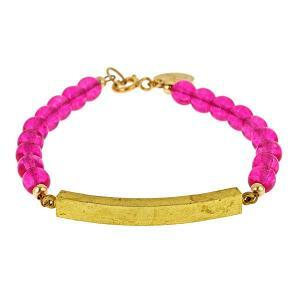 Devora Libin Jewels are made of quality gemstones and materials with statement-like details combined to create bracelet, earrings and necklaces. To keep the creativity flowing and make sure her pieces are as bold and up-to-date as ever, Devora creates two new collections per year for sale. 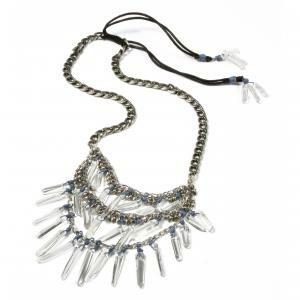 Check out some of the pieces from Devora’s collections. 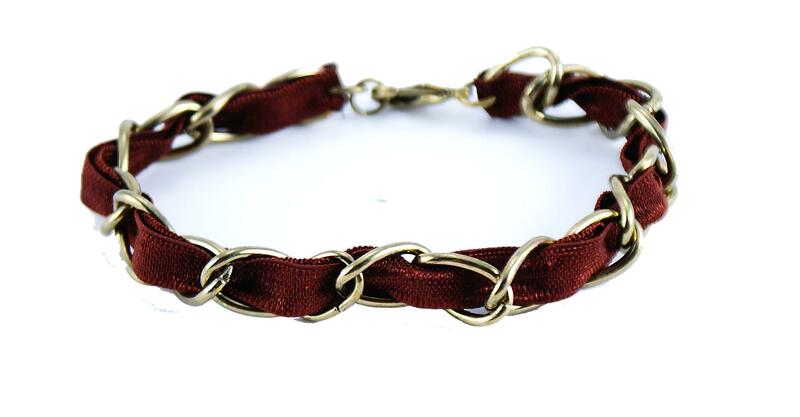 You can learn more about the Devora Libin line by doing a LIKE on the Facebook page and following them on Twitter. Valentine’s Day is fast approaching and love is in the air for some but not for all. For those ladies who are either searching for Mr. Right or trying to recover for Mr. Wrong why not gift yourself with a GPS system. No, not that kind of GPS. The GPS we are talking about is a woman’s Guy Picking System. So, where can you get this GPS? The Guy Picking System is a creation of author Dawn Maslar and can be found in her latest book, “From Heartbreak to Heart’s Desire.” As someone who experienced the same cycle of falling for the wrong men again and again, Maslar connects with her readers in a therapeutic and spiritual way. Targeted to the almost 50 million single women 18 years or older in the US, “From Heartbreak to Heart’s Desire” shows women how to learn to care for themselves, let go of negative memories and develop gratitude for the life they have. Check out this passage from the book. “The picking process begins with subtle, unconscious stimuli to your brain. It is your interpretation of the stimuli that produces the response that you find so exciting. Your internal environment forms your perception of your external environment. How you interpret these cues is the important part; they tell you who you are attracted to. “I used to believe this response was fate, some supernatural phenomenon that was predetermined by the stars. I believed that there was one special person out there and it was my job to find him. I would know him by the feeling I got. That tingling, that light-headed giddiness I experienced–these were the cues telling me that my future just walked into the room. With sections like “How Can You Tell if Your Picker Is Broken?” and categories of men women fall for like the “Hit-and-Run”, the “Teflon Don Juan” and the “What Was I Thinking?”, Maslar’s book will help women understand the steps they can take to developing a better life and find a happy and loving relationship. 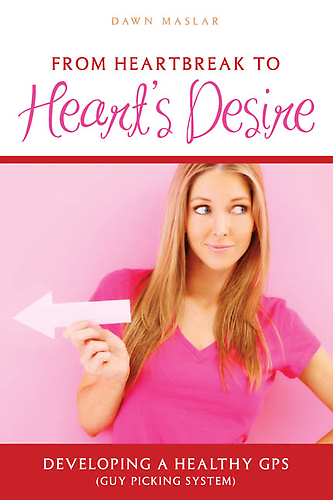 Described as “packed with basic but useful information” and “one of the best how-to books”, “From Heartbreak to Heart’s Desire” may just be the key you need to succeed. Right now if you visit Maslar’s website you can download the first two chapters of her book for free. You can purchase the whole book through her website, or through Amazon.com . Additionally, you can do a LIKE on her Facebook Fanpage and follow her on Twitter. Here’s a fun little piece of movie history for you foodies out there. Inspired by a “Dead Celebrity Party” during his college years Frank DeCaro, radio host and movie critic for “The Daily Show with Jon Stewart,” spent the last few decades collecting recipes of the stars and compiling them into a new recipe book. “The Dead Celebrity Cookbook: A Resurrection of Recipes from More Than 145 Stars of Stage and Screen” is an inspiring and entertaining collection from some of Hollywood’s biggest names such as Lucille Ball, Frank Sinatra, John Denver, Elizabeth Taylor, Andy Warhol, Alfred Hitchcock, Katherine Hepburn to name a few. The way DeCaro authors his cookbook he leaves aspiring chefs with a bit of knowledge about the celebrity tied into their recipes. For example, take a look at this blurb about talk show host, Mike Douglas, who died in the year 2006. “An affably square family man who was married to the same woman for more than sixty years, Mike Douglas launched his talk show in Cleveland in 1961, moved it to Philadelphia four years later, and finally to Los Angeles where it ran from 1978 to 1982. The Mike Douglas Show” was the first syndicated program to win an Emmy Award. At the height of the show’s popularity, TV Guide wrote, ‘Dishes go unwashed and shirts remain un-ironed when Mike Douglas comes on.’ His was the kind of show that would seat Gene Simmons of Kiss next to comedienne Totie Fields, whose Mish Mosh recipe appears in Chapter 20. The show set the tone for friendly modern chat shows like those hosted by Rosie O’Donnell and Ellen DeGeneres. In his home kitchen, Douglas was best known for his version of the classic Caesar Salad. Following after this is the recipe for Douglas’s Casear Douglas Salad, which includes a list of ingredients, instructions, and an indicator of how many it serves. 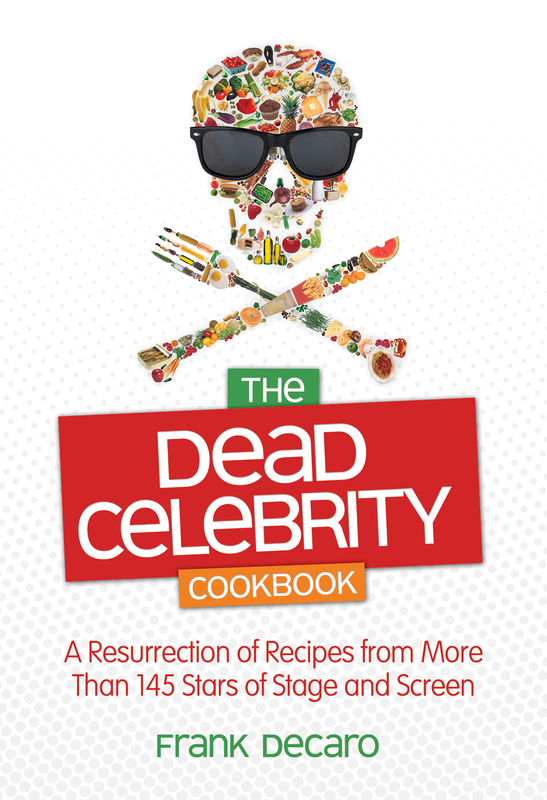 You can learn more about The Dead Celebrity Cookbook on the official website. You can find a few more sample recipes, reviews of the book, and a bio of author Frank DeCaro. Be sure to do a LIKE on the Facebook Fanpage and follow their Twitter. CHANEL is most famous for its line of clothing, accessories and beauty products, but did you know that the company owns a winery too? Yes, CHANEL acquired a winery in 1994. 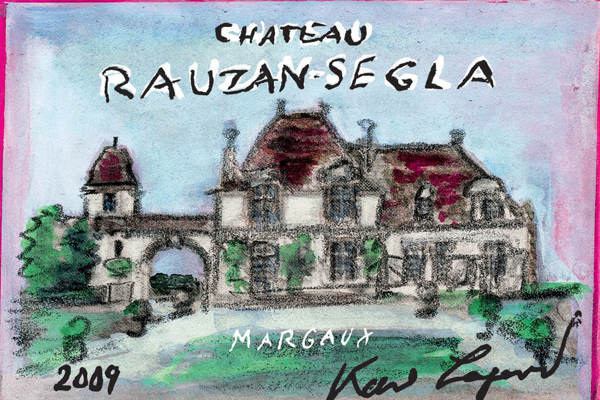 The winery was founded in 1661 by Pierre de Rauzan in Margaux, France, Château Rauzan-Ségla4. This year is the 350th anniversary of the vineyard, and CHANEL has decided to honor it in style. CHANEL collaborated with German designer Karl Lagerfeld to create a Grand Cru Classé wine to tie in with their 2009 vintage. Lagerfeld’s iconic drawing style is showcased on the label, making this wine a unique and classic item. The Grand Cru Classé wine will be available for retail in March 2012 for a purchase price of $129 per bottle. AskMen.com may very well be the Cosmopolitan for the male species since it’s the world’s number one lifestyle site for men. AskMen.com provides articles on topics such as fashion, health&sports, dating, money and much more. AskMen has the widest reach, attracting 20 million unique visitors worldwide. AskMen gives men the answers they’re seeking and lets them connect with like-minded gentlemen. A staple of AskMen is a special list called the Top 99 Most Desirable Women. Now on its 11th year, this list serves as a quick overview of what the AskMen readers find most appealing in today’s hottest female celebrities based on character, beauty, talent, intelligence and other attributes. So what does this year’s list say about this generation of men? “With more than a third of the women on this year’s list being first time honorees, it is clear men are intrigued by women who are new on the scene,” stated James Bassil, AskMen’s editor-in-chief. Who was selected as this year’s number one most desirable woman? AskMen readers cast their votes and proudly declared Colombian actress Sofia Vergara as the most desirable woman of 2012. Vergara currently stars on the hit ABC series “Modern Family” as Gloria Delgado-Pritchett, a role which has earned her two Golden Globe nominations, two Emmy nominations, and a SAG award. To learn more about AskMen, do a LIKE on their Facebook page and follow them on Twitter. It’s no secret that polka dots are trending now. Even celebrities like Cameron Diaz was spotted this past week at the Couture Fashion Week in Paris. Diaz was wearing a fifties-style polka dot ensemble designed by Christian Dior. If you like this adorable look you can have for a more modest price thanks to Unique Vintage. Take a look at the rest of the timeless classics and let us know what you think about them.